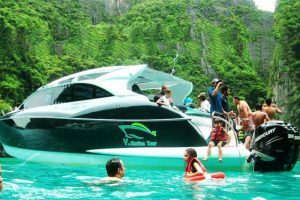 PHI PHI ISLAND DAY TOUR BY SPEED BOAT - 50% OFF BOOK NOW!! Softdrink ,fresh fruits is served on board. 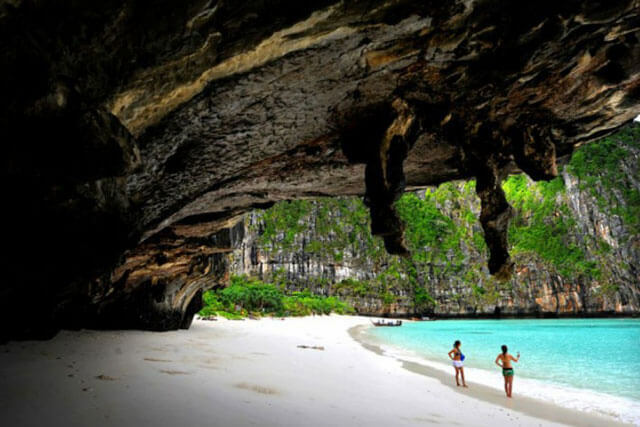 Phi Phi Island Day Tour is the world treasure and the trip to this splendor island which you’ll never miss during your visit to Phuket. 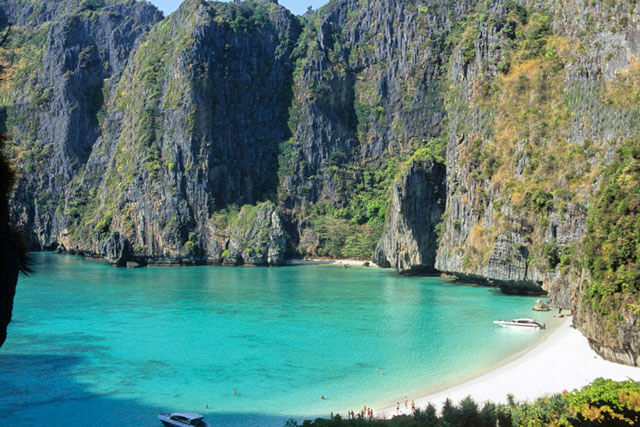 Anybody who missed Phi Phi Island Day Tour would be said they missed the highlight. 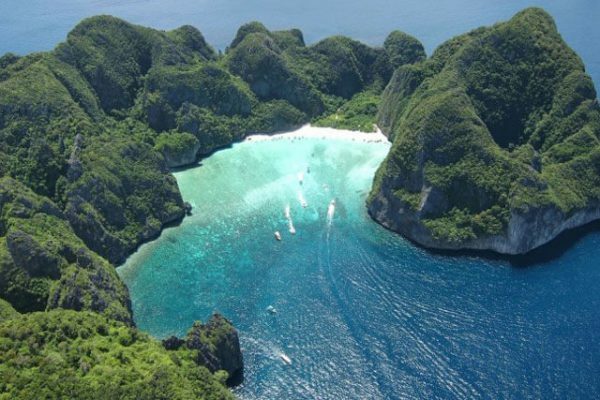 After an hour cruising in Andaman Sea, enjoying the turquoise sea and beautiful Limestone Mountain along the way, you will visit Maya Beach, Loh Samah Bay, Pi Leh Lagoon, Monkey Beach, Viking Cave, Khai island and the most popular island is Phi -Phi Don, you can sightseeing around the village and continue to the Phi Phi viewpoint. Phi Phi Don it was once ranked one of the top 10 most beautiful islands in the world. 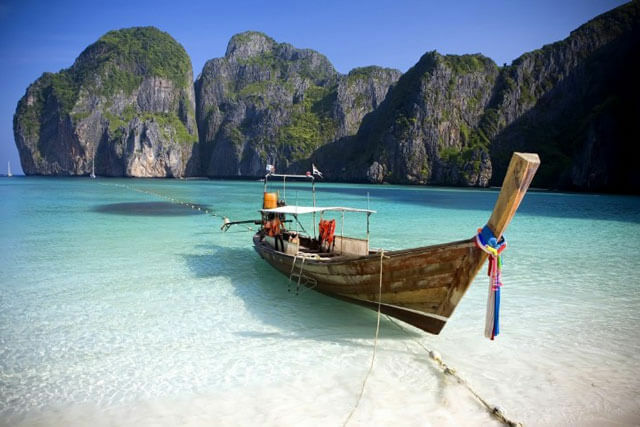 Phi Phi Don is the center of the Phi Phi Island Tour with accommodation, dining and leisure facilities. 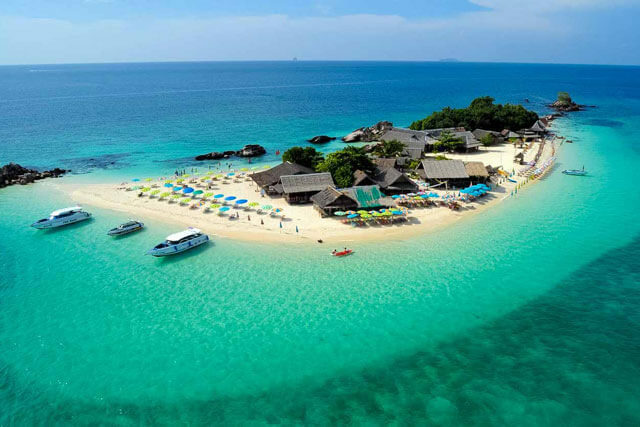 A beautiful view of the bay with the island consists of two bays, the twin bays of Ao Ton Sai and Ao Loh Dalum separated by small plains with coconut trees. It’s good places for relaxing on the beach, go for a swim, and explore the beautiful surroundings of spectacular hills and mountains. 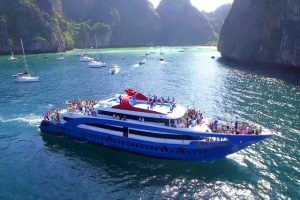 We would suggest Phi Phi island Cruise Tour if you’re group of the elderly people. 08:30 – 08:45 Arrive at Port – Welcome by your local guide. light breakfast before departure. 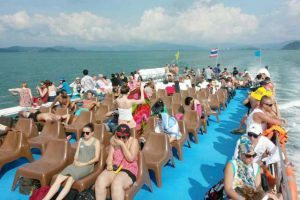 09:15 Departure from Boat Lagoon to Phi Phi Island by speed boat. 10:30 Arrive at Pileh Lagoon and swim in the emerald green waters as you are surrounded by tall standing limestone cliffs. 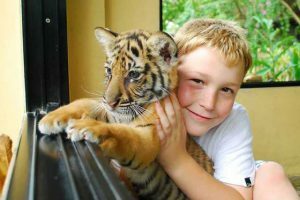 Thrill seekers can jump from the front of our boat and easygoing travellers can simply use stairs to step into the glistening water. 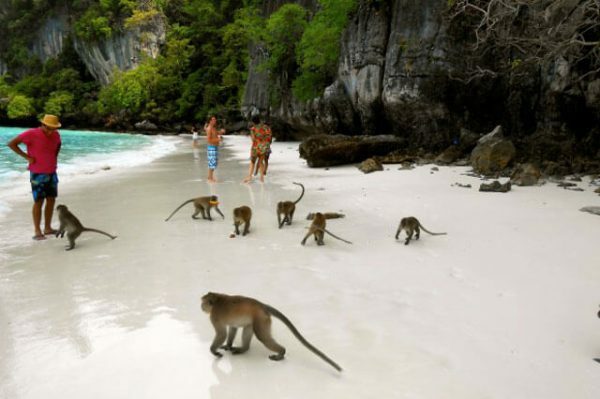 Continue your speedboat journey throughout Loh Samah Bay and take in the sights of Monkey Beach and Viking Cave. 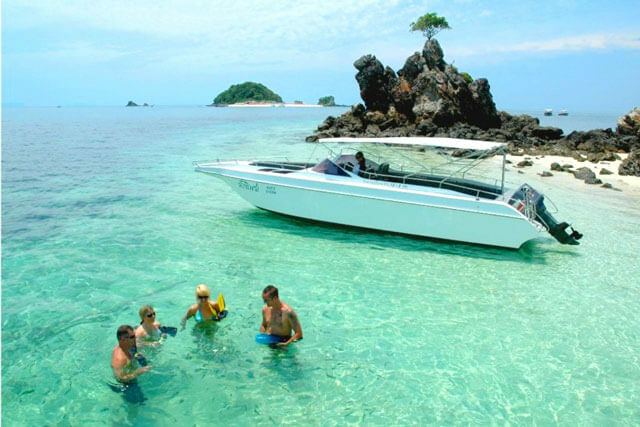 Then, enjoy your time snorkeling amongst the colorful and diverse underwater fishes and coral reefs. 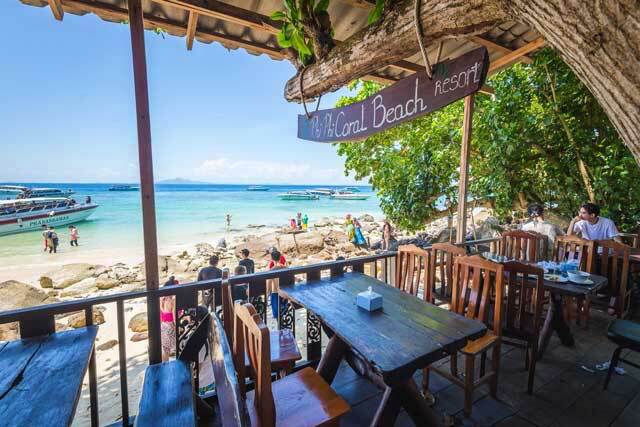 12:00 – 13:30 Enjoy buffet lunch at our restaurant by the beach at Phi Phi Don island. 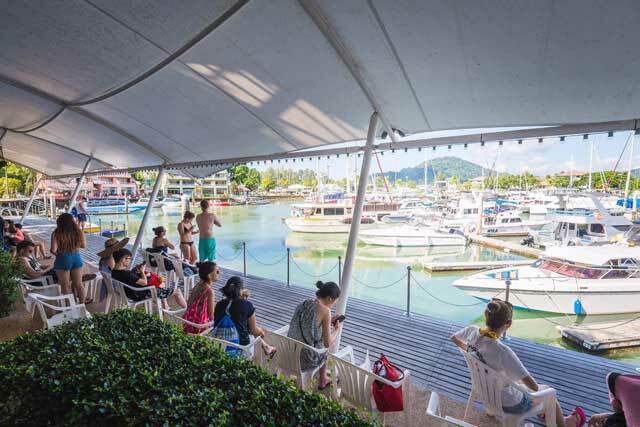 After lunch you got free time for photograph, swimming or chilling around the beautiful island. 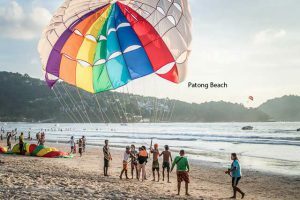 14:00 Depart from Phi Phi Don to Khai Island for relaxing on the beach, swimming, snorkeling, or enjoying sea and water activities. 16:00 Departure from “Khai Island” return to the pier. And transfer back to your hotel. In the event that you do not receive an email from us, please check your Spam folder or notify us via email !! 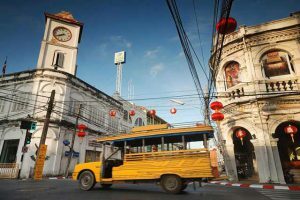 Hotel transfer service picks up at different locations and may be delayed due to traffic. Please be patient in cases of unforeseen delays along the pick up route. If we cancel your tour due to poor weather or other unforeseeable circumstances, you will be given the option of an alternative date or full refund. A female guest who are pregnant is not allowed on this trip.